With the World Expo currently under way in Milan, there’s no better time to visit this cosmopolitan city, boasting beautiful art and architecture, unrivaled shopping and a vibrant nightlife. Follow these tips to make the most of your visit to Milan, whether you only have a day or more time. Begin your day in Piazza Duomo, Milan’s main square, dominated by the magnificent Duomo, the third largest Gothic cathedral in the world. Climb up to the terrace (the entrance is to the left of the church) for a close-up view of the intricate architecture of statues, pinnacles, spires and gargoyles, and for a panoramic view of the city, which extends to the Po Valley and the Alps on clear days. On top of the main spire at 108 meters is the gilded statue of the Madonnina, to whom the Duomo is dedicated. The majestic glass-roofed Galleria Vittorio Emanuele II is right next to Piazza Del Duomo; head inside, grab a cappuccino and watch the Milanesi go about their day. 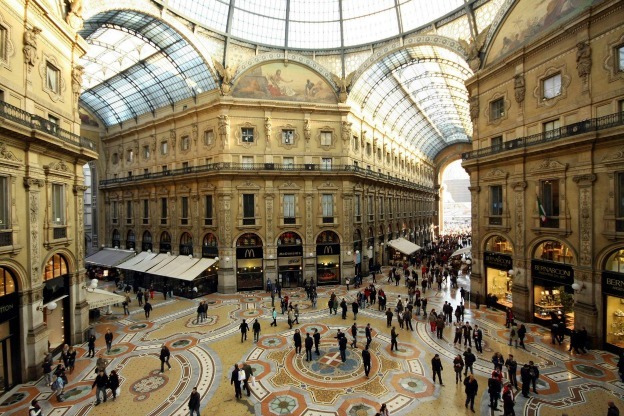 When you visit Milan, you must devote some time to shopping – after all, it is Italy’s fashion capital! 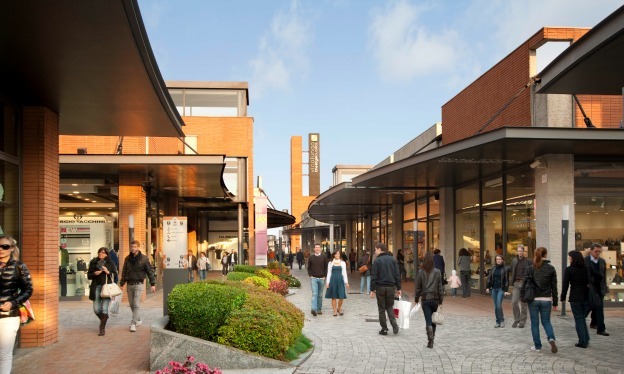 However, rather than staying in the city center, where prices can be really high, head 30 minutes outside of the city to Vicolungo The Style Outlets, where you can take advantage of discounts ranging from 30% to 70% off regular prices. After all, why pay full price when you can save? If you don’t have a car, you can reach Vicolungo The Style Outlets through a daily shuttle service, which departs from Largo Cairoli/Via Cusani 18 at 10:30 am; an additional shuttle run leaves at 2 pm until October 31 to coincide with the Expo. When you arrive at the outlet, show your shuttle bus ticket to the outlet’s Information Office to get a “shopping card”, which will give you an additional 10% off the outlet prices. Don’t be afraid of missing out because you’re not shopping in the famous Quadrilatero della Moda: Vicolungo The Style Outlets offers as many as 150 stores selling designer’s fashion, sportswear, shoes, housewares, and cosmetics from Italian and international brands, including Armani, Borbonese, Baldinini, Missoni, Twin-Set, Trussardi Jeans, Benetton and more; if you’re into sports, and especially winter outdoor activities, you’ll be happy to know that Colmar, The North Face, Napapijri, Salomon, Timberland, and Dolomite all have stores here. Plus, the center makes for a pleasant and relaxing break from the city: entirely open-air and pedestrianized, it features green areas, temporary art exhibitions, kids’ entertainment and even a pet-friendly zone! Between one store and the next, make sure you stop by the IAT Tourist Office for tips and recommendations on what to see in the surroundings and to find out about upcoming events; the tourist office can also help you arrange for hotel reservations and guided visits in the vicinity. Remember, you’re very close to the relaxing lakes area (Lake Orta and Maggiore), which can be a welcome respite from the bustle of Milan city life; if you’re looking to go off the beaten path, there are many picturesque towns to explore, such as Casalbeltrame, and little-known attractions like the Romanesque abbey of San Nazzaro Sesia. When you head back to Milan in the afternoon, check out the bohemian Brera neighborhood, with its charming streets lined with small boutiques and art galleries. 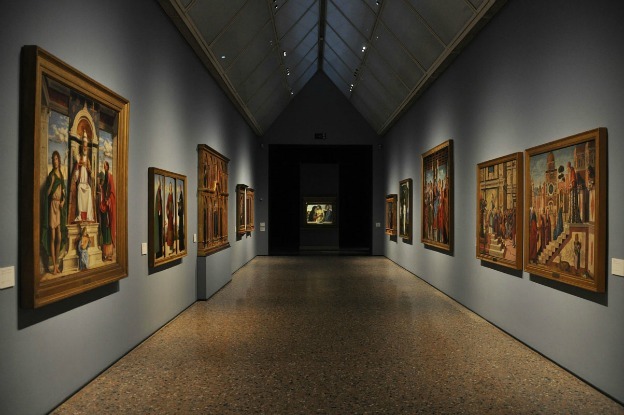 If you have time, visit the Pinacoteca di Brera gallery to see the impressive collection of masterpieces by Raphael, Piero della Francesca and Andrea Mantegna. From Brera, walk to the imposing Castello Sforzesco, the castle built by the Duke of Milan, Gian Galeazzo Visconti, in 1358. The castle now houses several museums and art collections; the highlight is the Rondanini Pietà, the last sculpture made by Michelangelo before his death. Walk through the castle’s courtyard to reach Parco Sempione just behind the castle, one of the largest parks in the city, created on the former parade grounds. End your day with dinner and drinks in the Navigli neighborhood, one of Milan’s most popular nightlife areas, full of restaurants and bars open late into the night. Originally, the area comprised a system of canals to transport goods, connecting Milan to the lakes north of the city. Only two are still exposed, the Naviglio Grande, which offers boat tours in the summer, and Naviglio Pavese. You’ll find an endless row of restaurants and bars along their banks for a fun night out, mingling with the locals.